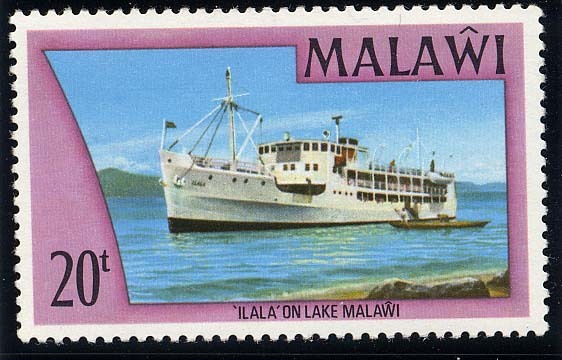 The motorship Ilala II built for service on Lake Nyasa, is featured a Nyasaland stamp of the Is. 3d. denomination and shown off Monkey Bay on the lake-1,400 miles from the coast and almost 1,600 ft. above sea level..The ship had of course to be built and dismantled before being shipped in pieces and erected on the edge of the lake. In 1949 the Nyasaland Railways gave the contract for this specialised construction to Yarrow and Co. Ltd., Scotstoun, Glasgow who have been builders of shallow-draft craft for re-erection almost since the firm's foundation in 1866 on the Thames. In point of fact the Ilala II is herself an interesting link with the earlier history of the company for the first Ilala was built at Poplar in 1875 at a cost of £6,000. She was built to fulfil an oft-expressed wish of David Livingstone in connection with the suppression of slavery on Lake Nyasa. The old Ilala was named after the area in which Chitambo's village is situated where Livingstone died in 1873 and where his heart is interred. 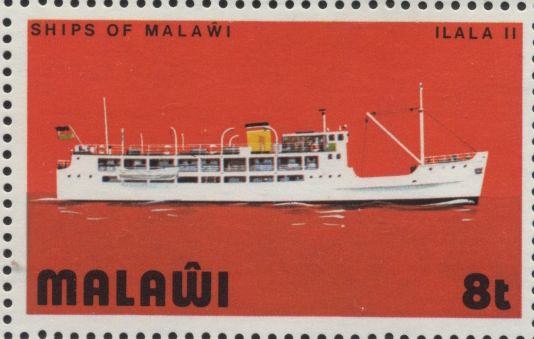 In all, the Ilala II cost £120,000 and was brought in pieces by rail from Beira to Chipoka on the lake shore. Of the 780 cases in which the parts were transported the heaviest weighed 18 tons and the lightest 78 lbs. The construction of the vessel was carried out under the supervision of Sir J. H. Biles and Company and Livesey and Henderson, consulting engineers to Nyasaland Railways. 100 tons and a crew of 38 carried. There is accommodation on the promenade deck for the master, two officers and 12 first-class passengers in 10 well-appointed cabins. Also on the promenade deck are a large dining saloon, well-equipped toilets, bathrooms and a galley for first class passengers. Six second-class passengers are carried and have two large cabins on the main deck forward with an adjacent dining saloon. The after end of the main deck comprises the third-class section with provisions for 350 passengers and a saloon in the hold amidships. Propelling machinery comprises two sets of Crossley 5-cylinder oil engines, rated at 425 b.h.p. for 400 r.p.m., giving a service speed of 12 knots. 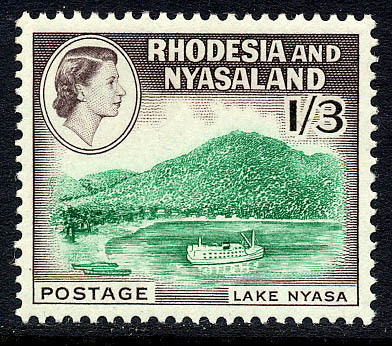 Early in 1951 the vessel was named and launched on the lake in the presence of the Bishop of Nyasaland and a large crowd of Africans, Europeans and Indians by Lady Colby, wife of the Governor of Nyasaland, Sir Geoffrey Colby. Monkey Bay is near Cape Maclear where the first Scottish Mission in Central Africa was founded in 1875 by Doctor Laws who brought out the first Ilala to the lake in that year. It is interesting to recall that this pioneer craft was shipped out in pieces to Cape Town in the holds of the Walmer Castle, thence up the East coast to the mouth of the Zambesi in the schooner Hara where she was assembled to sail up the Zambesi and Shire rivers to Murchison Cataracts. Here she was dismantled and carried overland by 800 Africans to the Upper Shire River at Matope where she was re-assembled so that she could sail into Lake Nyasa-380 miles long—seven months after leaving the United Kingdom. The Ilala was in service on the lake for 28 years in which she carried out excellent work in suppressing the slave trade then carried on by Arab dhows. Eventually the Ilala was dismantled and taken from the lake, ending her career towing barges at Chinde where she was broken up. 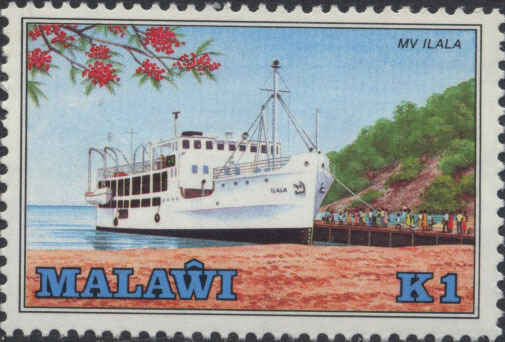 Malawi SG487, 549, 731, 931.